Perhaps you've been missing out. God has given us five senses and a brain with two sides. Yet we often approach God in one way only: through words that are analyzed and processed logically in our left brain. The right brain, however, is the creative, intuitive center--the place that connects most to our seeing, smelling, touching, tasting and hearing, and that roots experiences in our hearts in transforming ways. 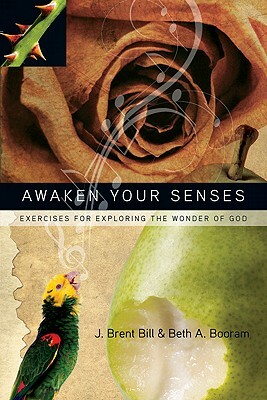 In Awaken Your Senses, longtime ministers Beth Booram and Brent Bill invite you to engage your right brain in your faith through sensory spiritual practices that position your heart for divine encounter. Readings and a variety of exercises that utilize your whole body lead you to experience God in new ways by tasting chocolate, words, matzoh, Scripture, forgiveness seeing the moon, wisdom, art, glory, your best self touching others, stones, prayers, rubble, Jesus hearing silence, music, pain, footsteps, the Spirit, the news smelling gardenias, life, salty air, home, healing oil, coffee Teaching you to pay attention in love to your surroundings, Booram and Bill will help you open your eyes and ears and nose to a sensuous faith--one in which God can be experienced each day as we live and move and have our being. So whether you're weary, stuck, struggling, growing or on information-overload, the exercises and reflections offered here can bring refreshment--a cold drink of water, a gentle breeze--to your soul. Come experience God with all of who you are, and discover more of who he is.